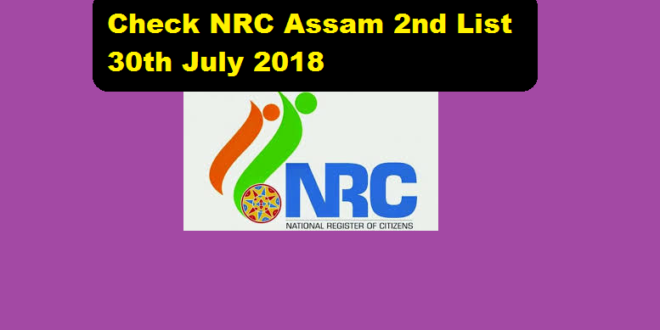 NRC Assam 2nd List Online Checking ,How to check NRC Second Draft or Complete Draft List Online 2018, NRC Assam nic.in , NRC draft today link, Draft, NRC draft online check result ,name check, Nrc assam second list pdf download,nrc draft in,NRC Assam Hearing.in , nrc assam latest news today, nrcassam.nic.in 2018 2nd list, NRC Assam nrc list of assam 2018 :- Hello everyone !! 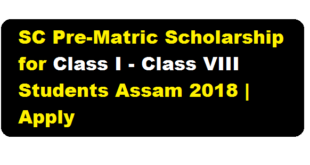 If you are searching for NRC Assam 2nd List then you are at right place. In this post we will update NRC Second list which everyone is eagerly waiting for. We will include every happenings regarding NRC publication obatained from NRC official site nrc assam nic.in . We will also discuss about Claim & Objection process regarding NRC 2nd List Result. So friends, Don’t worry we will help you in every possible way regarding NRC Assam online checking of second draft. STAY Tuned and read this article till end. 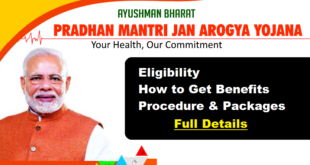 You will understand whole process and also able to check your nrc result. 3/ What will happen if your Name is not included in the Complete or second NRC draft list. 4.1 Who can submit Claim or Objection? 4.2 Where can the Claim and Objection be submitted ? 4.3 When can the Claim, Objection and Correction forms be submitted? 4.4 How to get the forms? 4.5 What to submit with the Claim or Objection? 4.6 How to know the reason(s) of non-inclusion of names? We all know that on 31st December 2017 Midnight the first or part draft NRC list was published. Many people rushed into online NRC portal for checking NRC Assam result.But many people did not find their names in the 1st NRC draft list. After that the state NRC team suggests people not to worry and told that their will be another NRC draft which will be published around 31st May 2018. This will be the NRC 2nd List. The state government told that the verification process is not fully completed and so in the first draft most of the people unable to find their names. This yields to produce second nrc list which will cover all people names who are left out in the 1st draft.This NRC Assam 2nd List will cover all the persons name whose names are not included in NRC first draft. Unfortunately due to Flood in various districts in Assam , the state NRC team was unable to produce the second NRC draft on its scheduled date i.e 31st may 2018. Hence the new revised date of second draft NRC publication is on 30th July 2018. One must note that this 2nd NRC list is not the Final NRC draft. But this second list will cover all the valid citizen list of Assam and that’s why it is very important. If someone’s name still not appear in the second NRC list then he/she need to proceed to Claim & objection process. We will discuss about this at the end of the article. 2. Via NRC seva kendra From 10:00 AM to 4:00 PM during 30th July 2018 to 28th September 2018 on all working days. Note : You must check every website mentioned above to Check NRC Complete draft result List . Because due to heavy load some servers may not work properly !! You can visit NRC Assam Seva Kendra for NRC 2nd List : From 10:00 AM to 4:00 PM during 30th July 2018 to 28th September 2018 on all working days. For example: If your ARN is 101856721980000087961 then type ARN 101856721980000087961 and send it to 7899405444 or 7026321133 or 7026861122 or 9765556555 This service is already active and will remain active till 6:00 PM on 29th July 2018 only. We have already mentioned that NRC Assam Name check can be done through pre-registration SMS. But with out preregistering you can also get the NRC result through Simple SMS. This SMS will be opened immediately after 2nd NRC list has been published on 30th July 2018. Receipt of response through On Demand *SMS about the status of inclusion of your name in Complete Draft on 30th July 2018 from 12 Noon onwards. You will receive an SMS in reply about the status of inclusion of your name in Complete NRC Draft. If the above mentioned method do not wok for you then you can also your NRC second list result by calling 24*7 NRC Helpline Numbers. Following helpline numbers can be useful for checking NRC Assam Draft List. If you are residing in Assam then Dial 15107 and provide your ARN number to get the NRC Assam 2nd Draft Result. If you are from outside Assam then Dial 18003453762 to know about the status of inclusion of your names in NRC Complete List. The Complete Draft NRC or the Second List consisting of names of all eligible applicants will be published by 30th July 2018. Note that THIS IS NOT THE FINAL NRC List. Applicants who do not find their names in the Complete Draft NRC will be given another opportunity to prove their eligibility for inclusion in the final NRC. Such applicants are required to submit their Claim in the prescribed form. There is also a provision to submit Objection against any ineligible name included in the Complete Draft NRC. Corrections can also be made in respect of errors in the spellings of names, age, address details etc.We shall discuss more about Claim & objection process for NRC Assam 2nd list in the following section. FINAL NRC WILL BE PUBLISHED ONLY AFTER DISPOSAL OF ALL CLAIMS, OBJECTIONS & CORRECTIONS. Who can submit Claim or Objection? Where can the Claim and Objection be submitted ? When can the Claim, Objection and Correction forms be submitted? • Claims, Objections and Correction forms will be received from 30th August to 28th September 2018 at the NSK in the prescribed form . How to get the forms? Forms for Claim, Objection and Correction will be made available at the NSKs and also available for download from www.nrcassam.nic.in from 7th August 2018 onwards . What to submit with the Claim or Objection? • Complete Draft NRC and Final NRC will contain particulars of only those persons born up to the last date of submission of the Application Form (up to 31stAugust 2015) and whose names are submitted in the Application Form. Inclusion of arty child born to an applicant after 31st August 2015 cannot be done through Claims. •Claims & Objections can only be submitted at the NSKs and not online. Corrections, however, can also be made online. With the NRC updation process many fake news has been spread across social media. We request you not to believe on those FAKE News. You must note that. 1/ The NRC Second list is not the final DRAFT LIST. Worry. Don’t Believe to rumors. 3/ Those people whose names are not included in NRC 2nd LIST will get LOTS of opportunity in future to proof their citizenship.There is nothing to worry. We all are now familiar with NRC Seva Kendras. Those who don’t know , NRC Seva Kendras are Help Desks set up in each district covering approximately 2,500 households by each NSK. Approximately 2,500 such NRC Seva Kendra offices are set up in Assam. 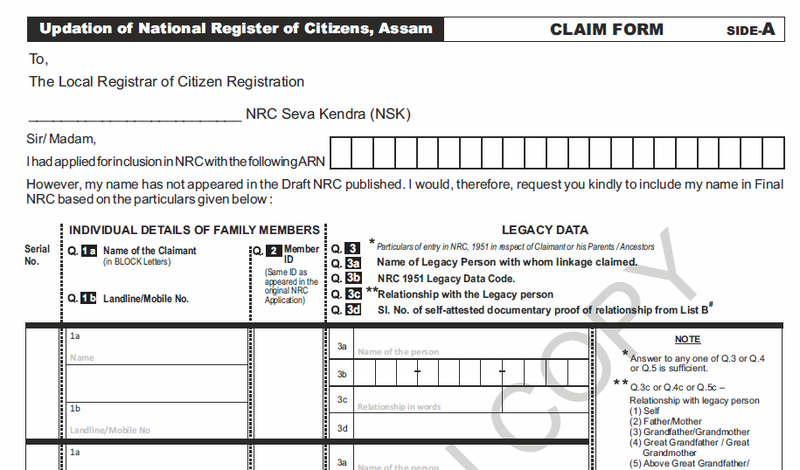 The Seva Kendras shall assist the public in searching Legacy Data, issuing of Legacy Data Code, and in receipt of NRC Application forms. 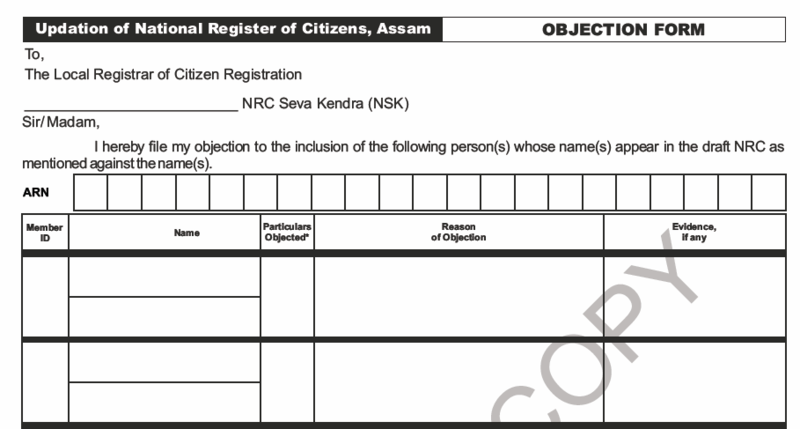 You can also Check NRC Assam Second list at your Nearest Seva Candras. ARN stands for Application Receipt Number. This ARN is provided to you when you apply for NRC Assam Update process. To check NRC Assam Draft result or 2nd list you must have your ARN number with you. please help me ? how to download nrc 2nd list in pdf?